Ubisoft have apologized following the discovery in The Division 2 of a homophobic slur found within an image of a police officer within the game. 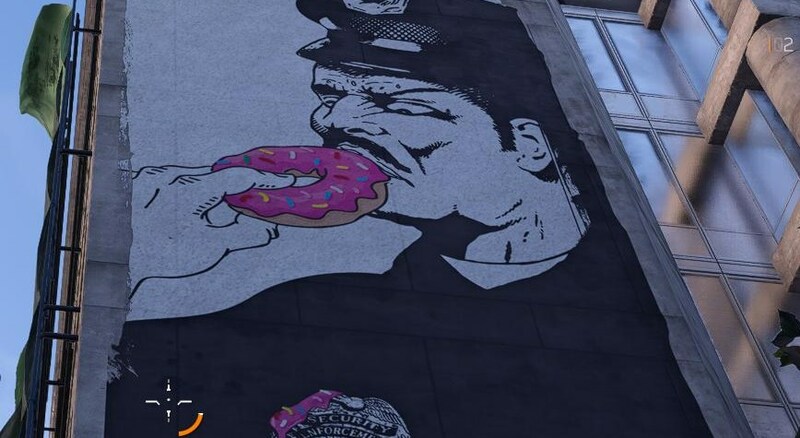 The image in question is street art that shows a police officer eating a donut, but the issue has surrounded the badge the police officer is wearing, which says "FA6607", which it has been claimed translates in leetspeek to a homophobic remark. It's hard to say if there was any intention behind the image, given the context, but in any event, Ubisoft are not attempting to defend it and have stated it should have been picked up during review. Some gamers believe the image is a play on the cover art for a 1981 single named "Police Story", but in any case, the image has now been removed from the game. Huh, you think they would have noticed sooner, guess not.